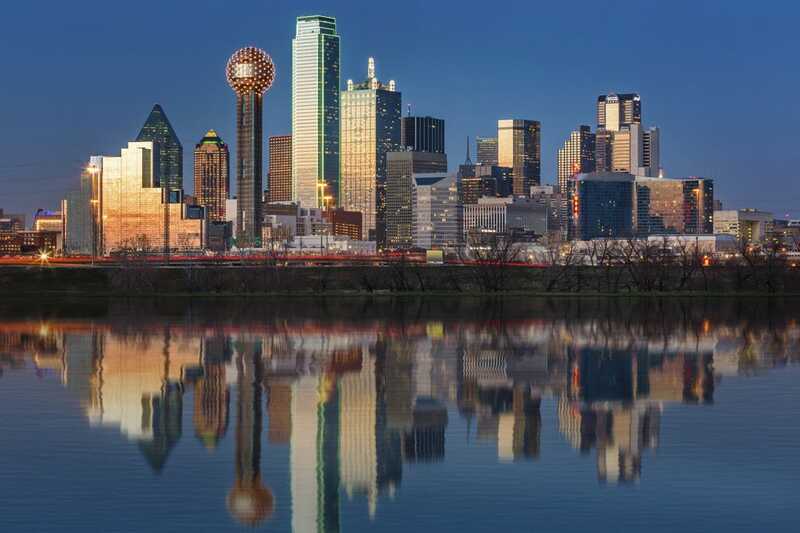 Our readers have proven once again they are a passionate lot, by voting the Dallas skyline into first place in our USA TODAY Readers' Choice contest for Best International Skyline. The highly recognizable cityscape - regularly featured in the 1980s hit series 'Dallas' and other more recent reality shows - took a strong majority of votes, despite stiff competition from #2 finisher Chicago. "Dallas became initially identifiable by the opening credits of an infamous '80s TV show," says expert Preston Kissman. "The contemporary Dallas skyline tells a story of big banking, big oil, big money, and the occasional big bust." James Adams add, "Dallas has continued to stay flashy. Controversially, it has done this not with the height or style of its newest architecture, but rather through an internal race to adorn its existing and new icons with colorful interactive lighting that cannot be ignored." "Chicago exudes the modern American spirit of a city destroyed by fire and rebuilt into a hotbed of progressive architecture," says expert James Adams. "A wealth of iconic skyscrapers that are timeless in their design make this skyline one of the best to gaze upon." Architect Joyce Owens says, "Chicago has a world renowned mix of modern skyscrapers and early 'high-rise buildings' (load-bearing masonry buildings – the precursor to skyscrapers). 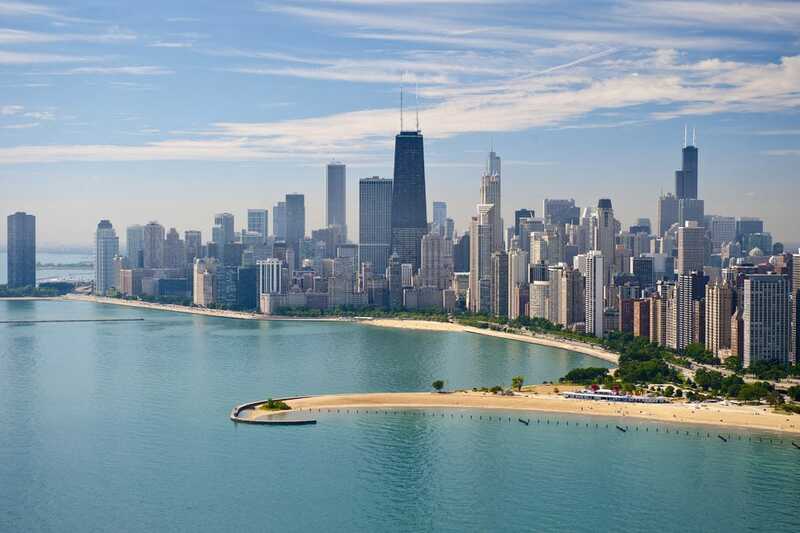 Its spectacular location directly along Lake Michigan provides the perfect opportunity for breathtaking views." 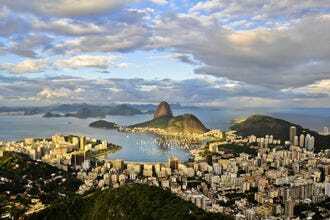 Rio de Janeiro has an almost unnatural looking topography, giving it a most memorable setting for architecture. 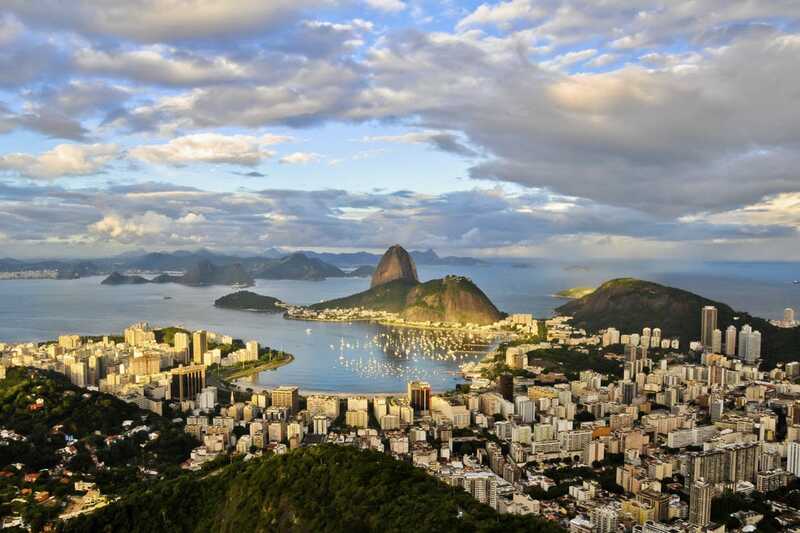 Rio's skyline undulates with the landscape, offering the eye visual variety which complements the city's geographic advantages. "Toronto's skyline is a typical North American twentieth century construct of considerable handsome structures," says architect James Adams. "What sets this skyline apart, however, is the shear height of the CN Tower ," he says. It was the tallest structure in the world for over thirty years, until recently succumbing to the shiny Burj Khalifa in Dubai, UAE. "New York City is easily one of the world's most instantly identifiable skylines," says expert Preston Kissman. 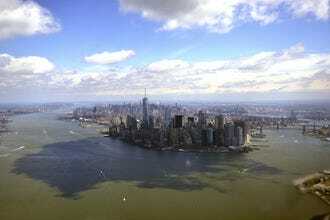 Manhattan has had a compelling skyline for generations. "New additions, including the New York Times Tower, Frank Gehry’s recently completed 12 Spruce Street and the elegant One World Trade Center have made a positive contribution to NYC’s tradition of exciting and appealing architecture, adds architect Joyce Owens.Kissman adds that from the south,"it portrays a bold prominence in the bay, not unlike the prow of a grand transatlantic ship." 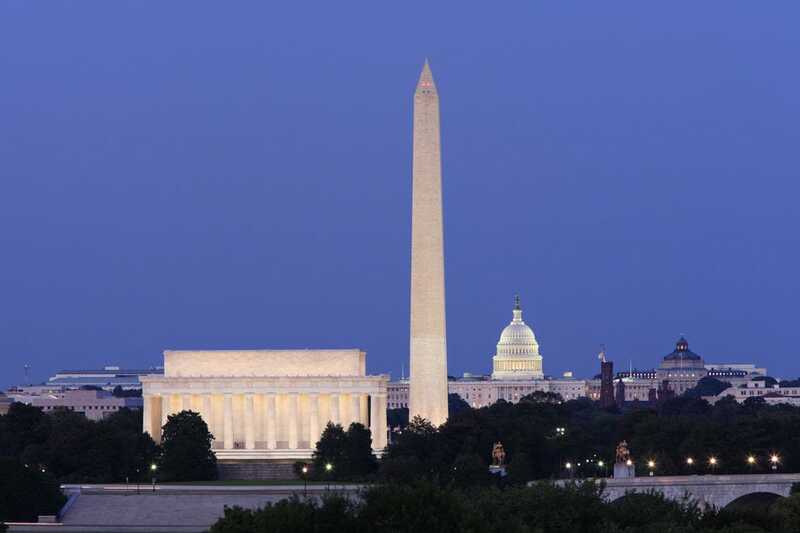 "Washington D.C. evokes an American nostalgia that's been captured in pictures and on film throughout the twentieth century," says expert James Adams. 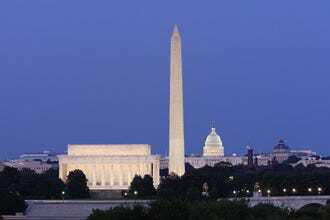 "The neoclassical and Georgian architectural styles that are key elements in this planned city are recognizable the world over." It's also brimming with iconic landmarks. 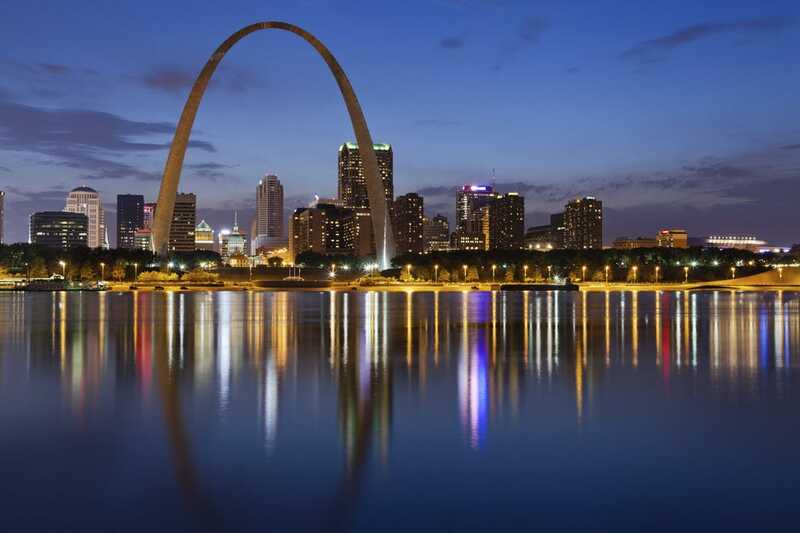 "Similar to the distinctive skyline of Sydney on the other side of the globe, St. Louis - with its iconic arch - enjoys a look that can’t be confused with any other city," says expert Joyce Owens. 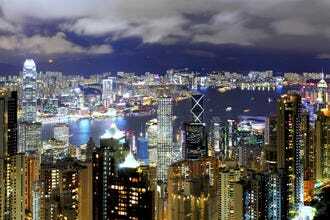 "The Hong Kong has two key elements which make it special." explains architect Joyce Owens. "A silhouette provided by unique and identifiable skyscrapers, but also water and interesting topography; the combo creates a dramatic setting." Expert Preston Kissman concurs. 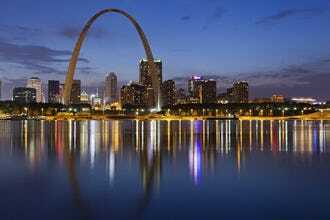 "This city provides a dramatic sight from any angle," he says. 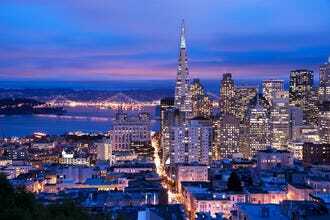 "San Francisco’s skyline does not disappoint. 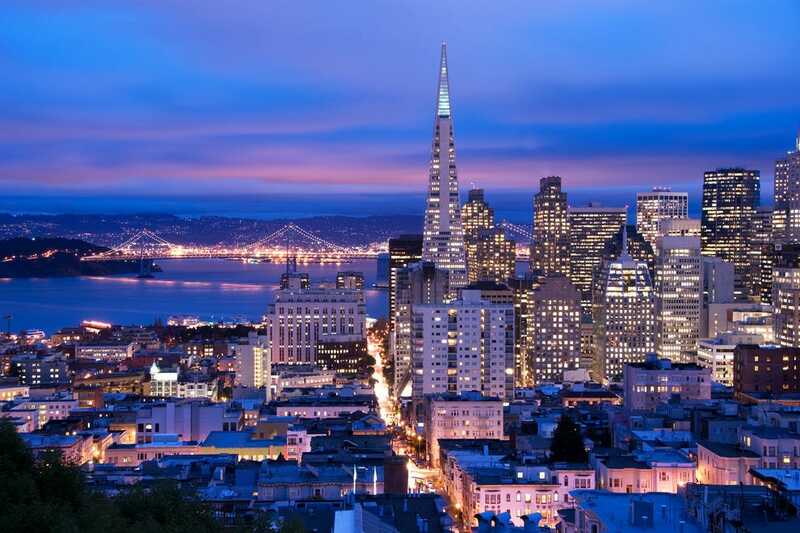 Iconic buildings and dramatic bridges, old and new, combine with theatrical topography and reflective water views from all angles, making San Francisco the crown jewel of the west coast," says architect Joyce Owens. 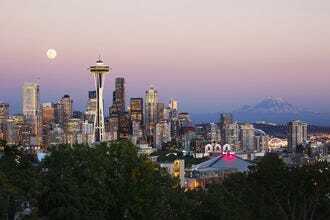 Mt Rainier appears in the distance, looming behind the cosmopolitan Seattle skyline, giving this city a connection with the outdoors that's as refreshing as a cool breeze," says our expert Preston Kissman. The Space Needle adds to the list of reasons this USA skyline is beloved and identifiable. In recent years, Dallas has added colorful interactive lighting to its skyline, giving it 8 extra hours per day to impress travelers. Nighttime flights into DFW - one of the nation's busiest airports - often give passengers a memorable view of what has become an extravaganza. (An early adapter to colorful nighttime lighting of a downtown was Albuquerque, New Mexico). All 20 nominations were made by a panel of practicing architects, and readers were given four weeks to vote. This is not the first win for the Lone Star State. Texas also took #1 for its 'Big Tex' statue in our Best Quirky Landmark contest. Readers ensured all but one of the American nominees made the winners' list, shutting out many respected overseas metros. While living in London for 15 years, Owens designed and built numerous award-winning projects as partner of her globally-recognized architectural practice. Joyce returned to the USA to share her international and forward-thinking approach toward architecture, travel and style: she's an advocate of good design at all levels. As an architectural columnist, including for USA TODAY, Joyce shares her expertise about buildings and places with the public. She's currently working on architectural projects in the USA, the U.K. and Italy. Read more here. 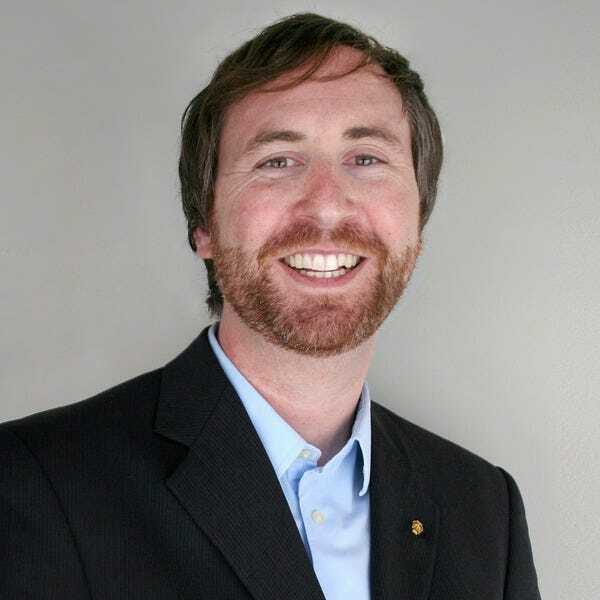 Passionate for dense urban environments and the people and places that make them thrive, James proudly walks to work in the West End of Dallas daily from his loft Downtown. A Senior Associate at Corgan, he has worked as an architect on a multitude of office, mixed-use and residential projects projects over the past 10 years.An aspiring writer always looking for good stories, he is the associate editor of content for Columns, an AIA Dallas publication.James has a zest for traveling the world which he hopes to instill in his daughter. Preston earned his Masters in Architectural Design from Texas A&M University. 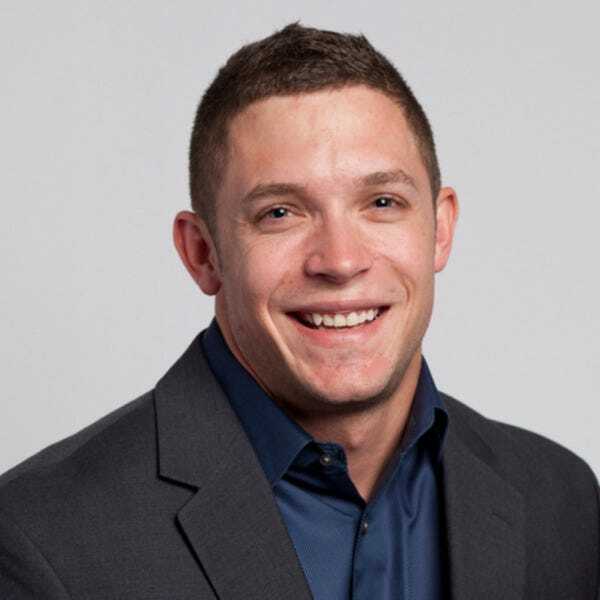 Since 2008, he's been living and working in Dallas where he serves on the Corporate, Aviation and Mission Critical teams for Corgan Associates.